nly the technicality of a 10-song Shocking Blue/The Archies/Beatles medley produced in Holland by the group Stars On 45 in 1981 prevents B.J. Thomas' "(Hey Won't You Play) Another Somebody Done Somebody Wrong Song" from being the number one single with the longest title. It remains a comfortable number two. 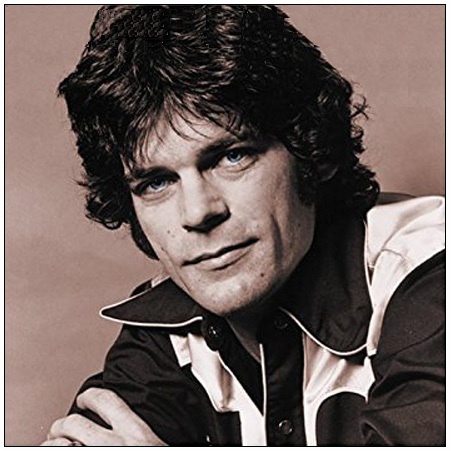 Oklahoma born and Texas raised pop/country/gospel singer B. J. Thomas scored his second No. 1 pop hit and 13th Top 40 single in 1975 with "(Hey Won't You Play) Another Somebody Done Somebody Wrong Song," which also topped the C&W chart. First charting on March 1, 1975, the tune remained on the chart for 10 weeks. It was taken from Thomas' 1975 album Reunion, which which first charted on Mar. 29, 1975, peaking at No. 59 on the Billboard Hot 200 and remaining on the charts for 14 weeks. Thomas followed his first number one single, "Raindrops Keep Fallin' on My Head," in 1970 with a string of hits on Scepter Records before moving to ABC. "I Just Can't Help Believing," written by Barry Mann and Cynthia Weil, was his only other Top 10 single in the first half of the '70s. Still, his other Scepter songs were popular on the radio, including the gospel-tinged "Mighty Clouds of Joy" and his anthem to pop music, "Rock and Roll Lullaby," featuring the twangy guitar of '50s rockabilly singer Duane Eddy and back-up vocals by The Chiffons (of "He's So Fine" fame) and David Somerville of the Diamonds ("She Say [Oom Dooby Doom]," "Little Darlin'"). Chips Moman, co-writer of "(Hey Won't You Play) Another Somebody Done Somebody Wrong Song," did not compose the tune for Thomas. It wasn't written with any singer in mind, but B. J. happened to be offered it first. There was no special inspiration for the song -- neither Moman nor Larry Butler had somebody do them wrong. "It's just like the guy who wrote 'Fly Me to the Moon' never had been to the moon," Moman points out. "You do have to have some imagination." In his autobiography, Home Where I Belong, Thomas admits he barely remembers the recording sessions for his second number one hit. At the time, he was spending upwards of three thousand dollars a week to feed a drug habit that included addictions to Valium, cocaine and amphetamines. "It's a wonder I'm still alive," Thomas wrote in his autobiography, "considering how many times my bodily functions quit and someone had to revive me." His marriage to his childhood sweetheart, Gloria, was virtually dissolved when he went to visit her and their daughter, Paige, in Fort Worth, Texas. During their separation, Gloria had been converted to Christianity by two missionaries who lived nearby. In his book B.J. recounts how his life was saved at midnight on January 28, 1976. He had hit rock bottom when Gloria took him to meed Jim and Micah Reeves. After talking with them, B. J. prayed privately for 20 minutes. Then he looked up at the clock. "The memory of seeing that secondhand sweep by the '12' will never leave me," he wrote. Thomas began a drug-free life at that moment. His 1977 album, also called Home Where I Belong, was solid gospel, earned him a Grammy award and went platinum. He went on to capture four more Grammys for his gospel music. But his switch to religion hurt his status as a pop star. He was branded "born-again" and failed to get any more secular work. In 1983, he made a conscious effort to recapture his pop audience with the New Looks LP, followed by The Great American Dream in 1984. Two of his later country hits, "What Ever Happened to Old Fashioned Love" and "New Looks from an Old Lover," both went to No. 1 on the C&W chart, and "The Whole World's in Love When You're Lonely" made the C&W Top 10.